Import and view GPS eXchange format (GPX) files. 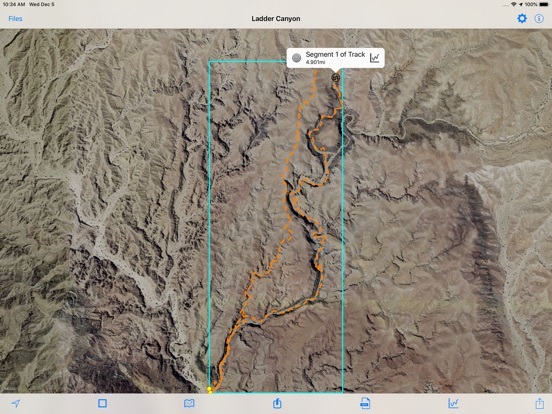 GPX-Viewer views GPX files exported from many GPS devices and other apps that create GPX files. 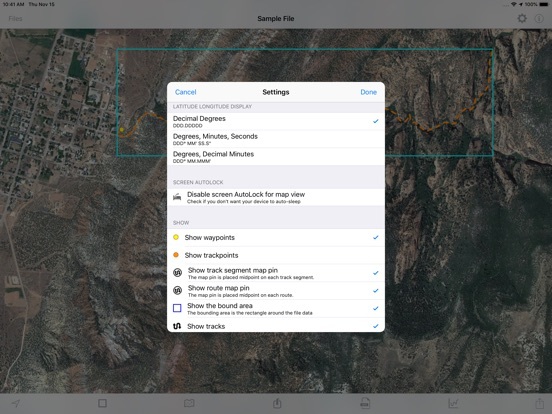 Import GPX files using iTunes file sharing, eMail, an URL, or from iCloud. 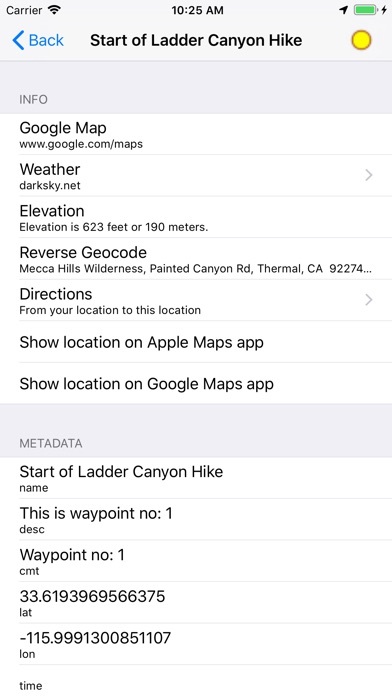 - Choose Apple Maps, Google Maps, OpenStreetMaps, or a custom map tile source URL. 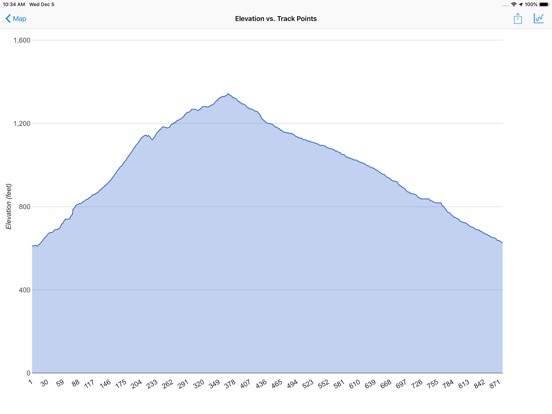 - Chart elevation vs. track points or distance. Share the chart. 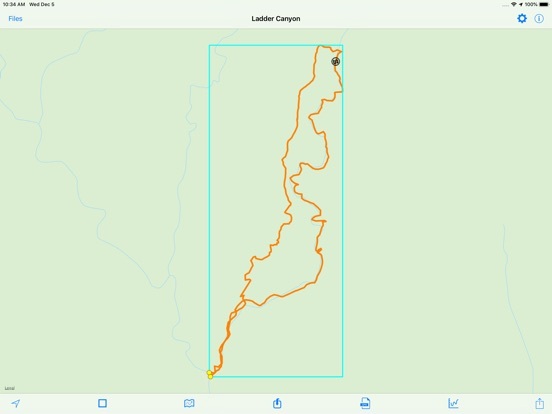 - Send the waypoints to Apple Maps or Google Maps. 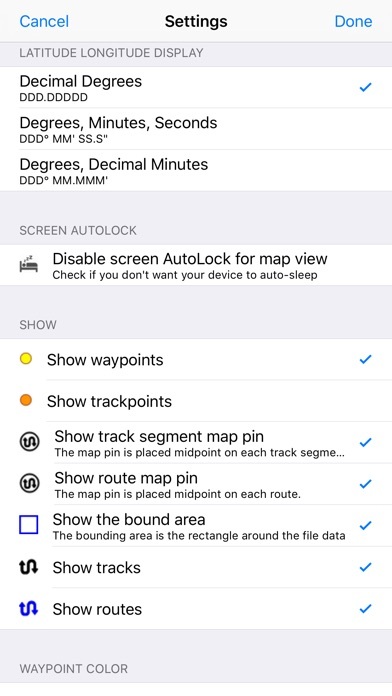 - Optionally disable screen auto-lock to keep the device from sleeping. 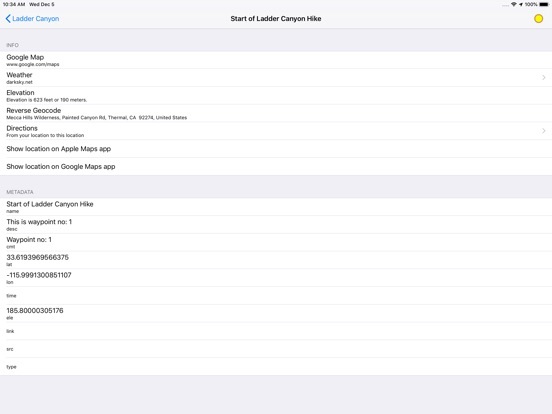 - Create folders to better organize your GPX files. - Set different location tracking modes. - Import GPX files to the current GPX file. 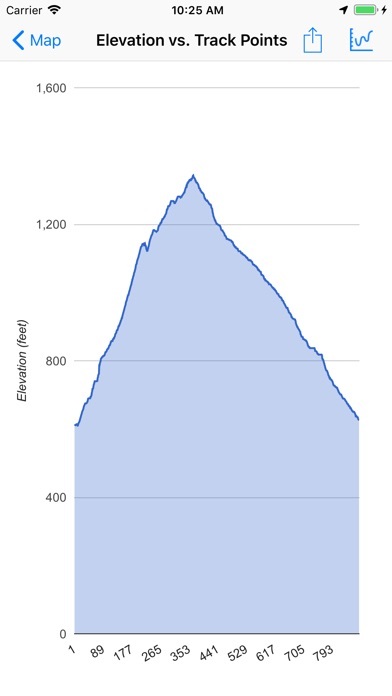 - Customize the color for waypoints, track points, routes and tracks. 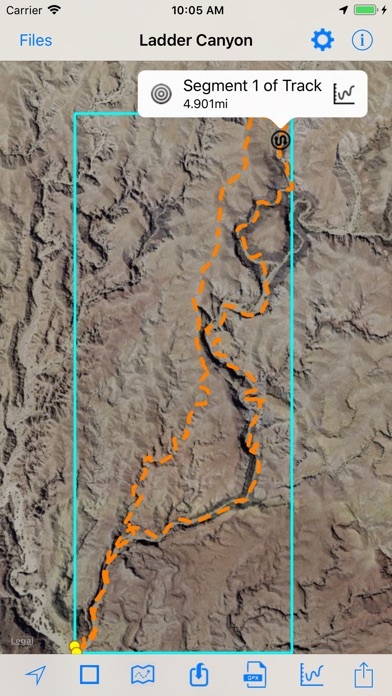 - Hide or show the waypoints, track points, routes or tracks on the map. - View track points on map. 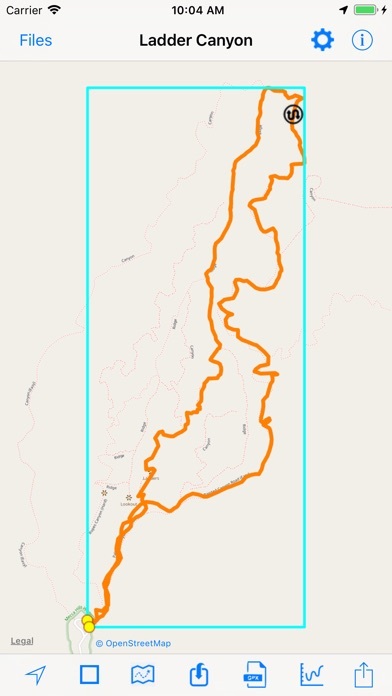 A sample GPX file is included. We also have a GPX Viewer and GPX Editor for the Macintosh computer. Visit our web site for more info.